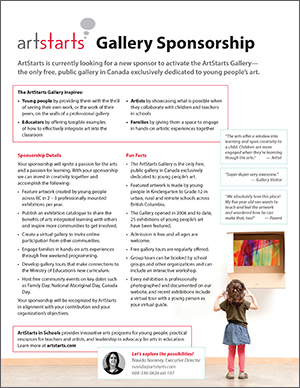 ArtStarts is currently looking for a new sponsor to activate the ArtStarts Gallery—the only free, public gallery in Canada exclusively dedicated to young people's art. Feature artwork created by young people across BC in 2-3 professionally mounted exhibitions per year. 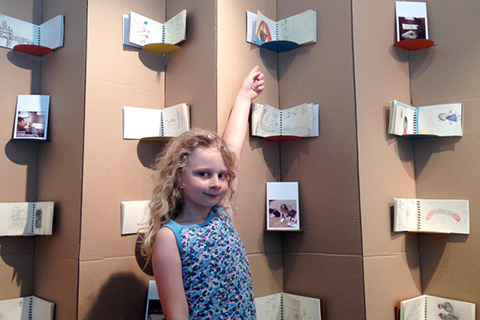 Publish an exhibition catalogue to share the benefits of arts integrated learning with others and inspire more communities to get involved. Create a virtual gallery to invite online participation from other communities. 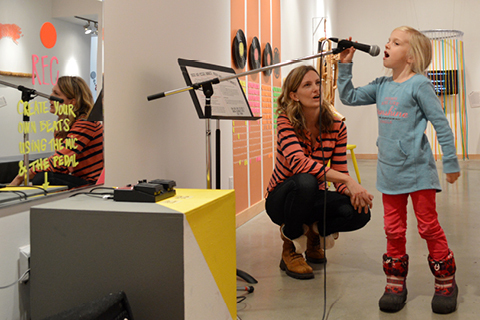 Engage families in hands-on arts experiences through free weekend programming. 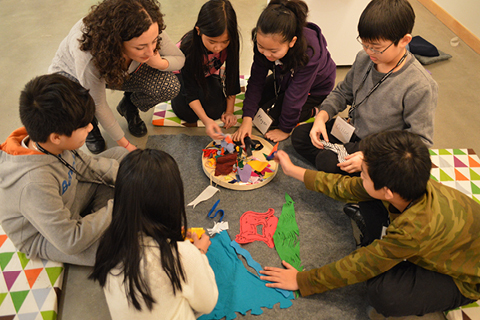 Develop gallery tours that make connections to the Ministry of Education’s new curriculum. Host free community events on key dates such as Family Day, National Aboriginal Day, Canada Day. Your sponsorship will be recognized by ArtStarts in alignment with your contribution and your organization's objectives. The ArtStarts Gallery is the only free, public gallery in Canada exclusively dedicated to young people’s art. 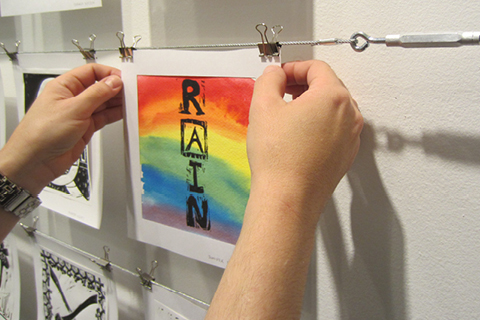 Featured artwork is made by young people in Kindergarten to Grade 12 in urban, rural and remote schools across BC. The Gallery opened in 2006 and to date, 24 exhibitions of young people’s art have been featured. Free gallery tours are regularly offered. Group tours can be booked by school groups and other organizations and can include an interactive workshop. Every exhibition is professionally photographed and documented on our website, and recent exhibitions include a virtual tour with a young person as your virtual guide.